“Bartenders are the gatekeepers between brands and their consumers, and the bartender recommendation is a huge factor in which brand ultimately succeeds,” says Kevin Moran, Co-CEO of actûrus. Fireball is not only the most often recommended Shot/Shooter among US bartenders, but also the most often recommended brand within all Spirit categories for the first time. 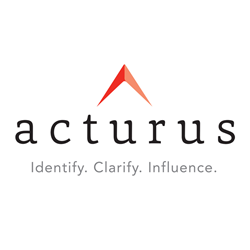 The Actûrus MSS US Bartender Influencer Study, now in its 11th year, asks over 10,000 bartenders their opinion of brands, and to rank all the major spirits brands in terms of the frequency they recommend them to consumers. The award program recognizes spirit brands with the highest share of recommendations among bartenders in the annual Actûrus MSS Bartender Influencer Study. Additional information is provided to participating suppliers on product image, programming effectiveness and other metrics that enable them to make more informed strategic decisions on how to position their brand among influencers. “Our annual quantitative tracking with thousands of bartenders gives us a very clear picture of a brand’s position in the on-premise. We’ve watched fads come and go, cocktail culture recess and emerge, and trends and brands take off to become category leaders through building affinity among consumers and bartenders alike,” says Moran. Notes: The 2016 Actûrus MSS Bartender Influencer Study surveyed thousands of bartenders in the top ten US MSAs between June and August. Results are based on measures of recommendation by Influencers that are proprietary to actûrus. Awards are based on numerical scores, and not necessarily on statistical significance and provided among only those brands included for ratings in MSS Influencer studies. Actûrus staff is composed of highly trained research professionals with a vast array of expertise on a global basis. Actûrus performs at the very highest standards of research protocol and provides a wealth of actionable information about Influencers in 19 categories from beverages to passenger car lubricants in nearly 50 countries, at a cost-effective price. For more information, about our alcohol/beverage studies visit us at http://www.acturus.com or call 480-595-4754 ext. 1221.